But, not the Germans. The Germans are austere, honest and hardworking. Cheating is beyond their ethics and their mental framework. They do not cheat. No, wait! Rewind the tape please. Oh! It turns out the Germans cheat, too. They do it in a sophisticated way, but they cheat. They use fancy technology, but they cheat nonetheless. Actually, the Germans cheat on a massive global scale! Volkswagen alone (God knows what the other carmakers may have done) cheated on 11 million cars; more than the Greek population. It is not the case of the local grocer not declaring a few kilos of potatoes, or the small coffee shop owner neglecting to register a few expressos and a couple of beers. No! It is one of Germany’s largest industrial companies. You have to give it to the Germans: when they engage in mischief, they do it on an epic scale. They are also envious and greedy. The United States used to have the biggest auto company in the world: General Motors. Then, Japan’s Toyota reached the top spot. But mighty Germany coveted the position. Apparently the drive to be number 1 was one of the propellers for Volkswagen to turn to cheating. And it goes on. Green, environment-obsessed, anti-nuclear energy Germany produces millions of heavy-polluting cars disguised as squeaky-clean eco-friendly machines. So, “Das Auto” turns out to be “Das Cheater”. If you thought that buying “Made in Germany” was a guarantee of superior unpolluted quality, maybe you should review your assumptions. 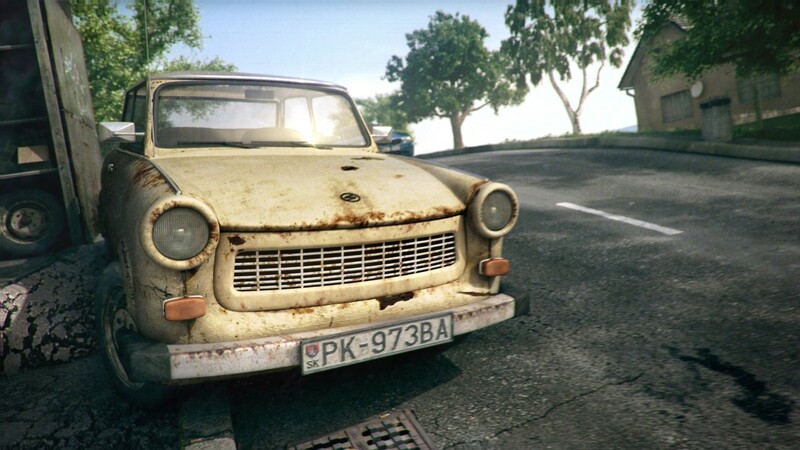 You may get the looks of a Volkswagen and the heart of a Trabant. A memory from East Germany, or the soul of Germany’s auto industry? I just got a Volkswagen; saw the news when I got home. I am fuming. New movie coming out about the Volkswagen exhaust gas scandal, starring Tom Cruise: Emission Impassable. 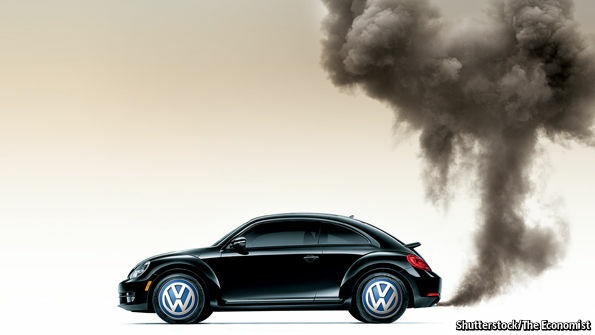 Now Volkswagen are trying to hide the truth by creating a smokescreen.